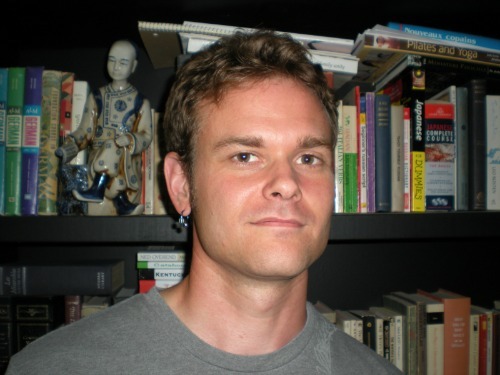 Wes McCloud is a novel writer hailing from Central Ohio who is hell-bent on getting his paperbacked ramblings to the eyes and minds of the general public. Quiet and reserved he loves the outdoors nearly as much as he loves spinning tails of horror, action, and adventure…almost always with a dash of supernatural spice thrown in the mix. 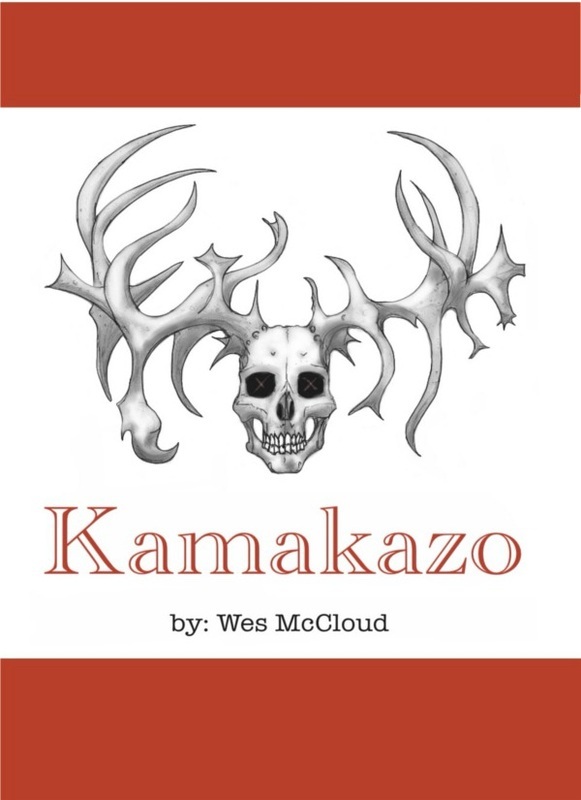 He currently has 3 books released - “Kamakazo" A terrifying tale about six men hunting down a flesh-eating whitetail deer in the hills of West Virginia. 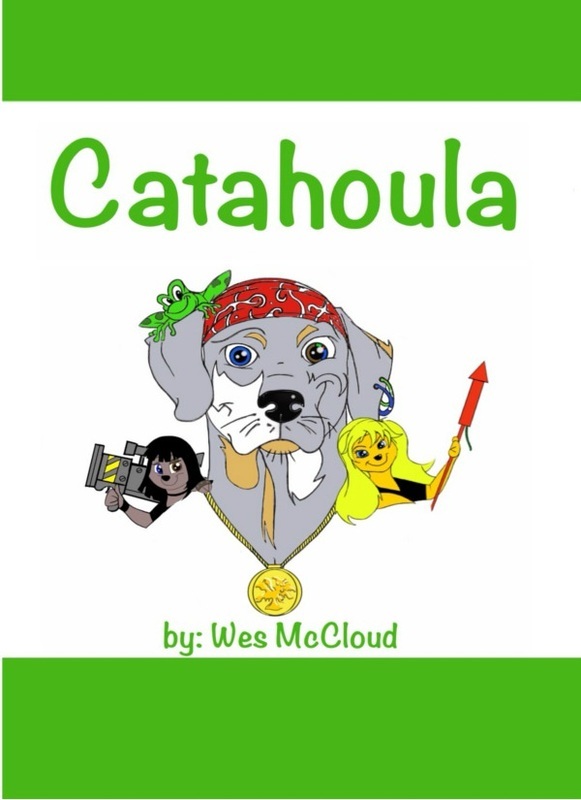 "Catahoula" A story of a dog named Jasper and his adventure through a haunted swamp in Louisiana. 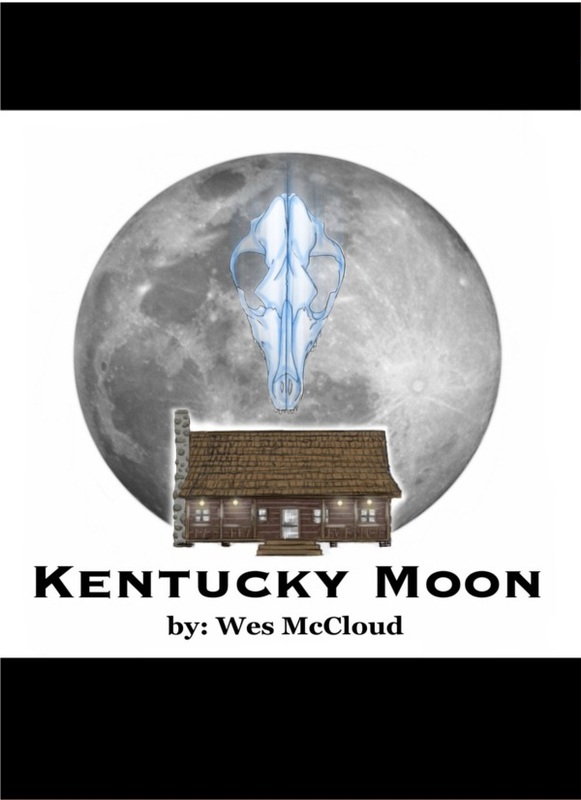 And "Kentucky Moon" A book about two brothers and their hunting dogs tracking down an evil entity that lives in the dark forests of Kentucky. He is currently toiling away at his 4th novel entitled “Gemini” A horror/ action story about an old world book called the Gemini and how it entangles a soothsaying girl and an ancient demon and his vengeful liege. Aside from the aforementioned titles, over 10 more books are still set in his mind, waiting to be released to the world…a long road awaits him. What was supposed to be a carefree, annual bow-hunting excursion among 6 friends slowly slithers into the arms of darkness. The sole owner of Kamakazo, Jessy Iville, laments to his friends of a disturbing anomaly roaming the hills of his property…a beast never imagined to be real…a meat-eating, whitetail deer. A ruthless, juggernaut of an animal that is hell-bent on slashing and devouring all living flesh in his path. Armed with sufficient evidence of the creature’s existence, Jessy convinces his friends to ban together with him and take down this enigmatic buck before it threatens to wipe out every last normal deer in Kamakazo’s womb…a task easier said than done. As the days turn to empty-handed hunts, and the nights ravage their beaten brains with nightmares of the monster they so tirelessly pursue, the hunters slowly begin to realize that the buck is more than a unnatural phenomenon…he is evil personified. Deep in the heart of Louisiana, one special dog is on a mission…..a mission to find a new home. Meet Jasper, a Catahoula Leopard dog with a big heart, and big determination. After his sole owner passes away, Jasper finds himself on the road, trying to find his place in life. The Catahoula ends up at a lonely roadside grocery called Big MaMa B’s Stop n’ Shop, nestled in the dense swamplands. There he discovers Katie, a young girl who instantly falls in love with him, and Jasper’s feeling is more than mutual. But there is one problem….Katie’s mother thinks the Catahoula belongs to someone else because of the locket his former owner placed around his neck. Soon, against Katie’s heart filled wishes, she and her mother leave Jasper behind. After their departure, Jasper finds a red handkerchief lying in the parking lot with a familiar name written upon it - “Katie” The Catahoula takes it up in his mouth and vows to find her again and prove to her mother that he “is” a stray. Problem number two…how will he ever do that? Jasper soon befriends a frog named Artemus sitting along the back edge of the parking lot by the swamp. He is a bit of a strange one, but when he finds out Jasper’s predicament, he offers a solution….visit the Swamp Gypsy, an old woman who supposedly lives deep in the swamp and knows all things. Jasper is doubtful, but determined. From here the story takes you on Jasper and Art’s wild journey through the “Great Crawdaddy Swamp” where they meet new faces, get lost, battle with danger, and begin to unlock the mysteries behind Jasper’s mystical cypress locket. Join them on their adventure as they keep their heads fixed to the most important thing…find the Gypsy…for with the Gypsy lies Jasper’s last hope to find Katie again. In the belly of the Great Depression, Carl Webb and his wife, Lila, were already too poor to feel its effects upon them. Despite owning no more than a rickety truck, a cabin, and three dogs they consider as close as children, the couple live a very happy life in the hills of Kentucky. But their serene homestead begins to fall apart the day Carl discovers a mangled bear carcass in the woods close by. He knows of no animal roaming the hills that could possibly inflict that much damage on such a large creature. Having no more clues to follow other than an unnerving array of human handprints that are scattered about the forest, the story steadily progresses into a mind bending quest that leads you through Carl’s dreams and nightmares, as well as the perilous voids of the darkened forest, trying to figure out who, or what, had killed the bear. Carl and his brother, Jon, gradually embark on a horrific task of tracking down the evil entity that dwells within the shadowy depths of the forest. Once they discover its identity, their lives will never be the same…and they will need all the help they can get. With high spirits, the combined forces of five brave hunting dogs, and one mysterious stray dog named Ghost, the Webb brothers set out to extinguish the monster under the haunting glow of the Kentucky moon.